Very professional. Everyone at my wedding is still talking about how good the music was and how he played to suit the attendees. I will definitely hire DJ Reece for all my events in the future. DJ Reece was a perfect choice for our event - he was punctual, professional and played the exact selection and vibe of music we requested. I will definitely refer him to colleagues for future events! DJ Reece was amazing. Set the tempo for the entire night, from slow music during cocktail hour and dinner to getting everyone up out of there seats to dance. From 3 year old to 80 years old were all up and dancing the night away. He is literally "THE ONLY CHOICE DJ". I am already trying to figure out another event so I can use him again, the night was THAT fun. If you're looking for a DJ to motivate your party and keep it going, this is your guy! Thanks again DJ Reece! I am a repeat customer. I have used DJ Reece for other events and have never been disappointed. He knows his music, caters to his audience, and is very professional. I will always recommend him and will certainly use him again. It was a pleasure working with DJ Reese. He was the ultimate professional. Very accommodating, timely, polite, even keel, and prepared. As part of the planning process he provided insight as too what would be required to have a seamless event related to the audio/sound details. I would without hesitation hire him again and recommend him to others! 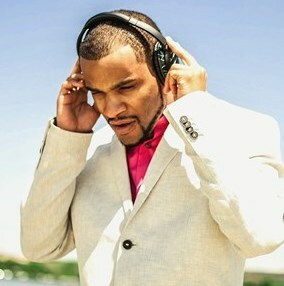 DJ Reece was very professional and we would recommend him highly to any of our friends! DJ Reece did an outstanding Job. He was very professional and dynamic. DJ Reece was able to handle situations on the fly during my event and worked with us during a challenging situation with our venue. He is a true DJ! Working with DJ Reece was a great experience! He was so easy to work with and very professional. He was easy to communicate with between emails and his client portal. He was definitely one of the highlights of our wedding day. Many of our guests asked about the DJ because he kept the party going on a 100 degree day. At the end of the night we still had a large number people stay despite the heat because of DJ Reece. I highly recommend DJ Reece to anyone for any event! DJ Reese was Outstanding! He was prompt, professional and kept the crowd engaged all night. Thanks so much for making my daughters "Sweet 16" a success! DJ Reese is truly "The Only Choice." DJ Reece you were outstanding! You played a variety of music that fit the crowd and it kept them on the dance floor. It's a great party when people are leaving the party dancing. Even better when people were leaving and they heard one of their favorite songs and turned back around to get that last dance. You had people dancing to the end of the evening. I would definitely recommend you to others and hire you again. DJ Reece, was phenomenal! The mixes is what kept my party alive! He arrived before I even did and was practically all set up. The Dj accommodated all my guest, I had a very diverse party and he played all genre. He was extremely friendly and professional and I will definitely request his services again! DJ Reecce got everyone on the dance floor, and kept them there most of the night. We were thrilled with his song choices and how he interacted with the crowd. The only snafu was that he mispronounced our names during the intro - we probably should have confirmed it beforehand! Another fantastic and successful AVA Van Ness event! We used DJ-Reece in our AVA launch party in the past and it was amazing and this AVA Pool Party was the same! Great music, great mixes that kept the party going! All our residents love DJ-Reece and now he is our go-to DJ for all our events. Super nice guy, professional and very easy to get along with. Easy to set up everything with him and worth every penny.